How many times have you been doing a literature search, found an article through searching on Google and then been frustrated that it costs 10, $20, or more dollars to gain access to an article? I find this too often to be the case. Why? It shouldn’t be that way. I think that scientific knowledge should be freely available but with copyright protections to benefit the author (not the publisher!). Can you create this electric field? 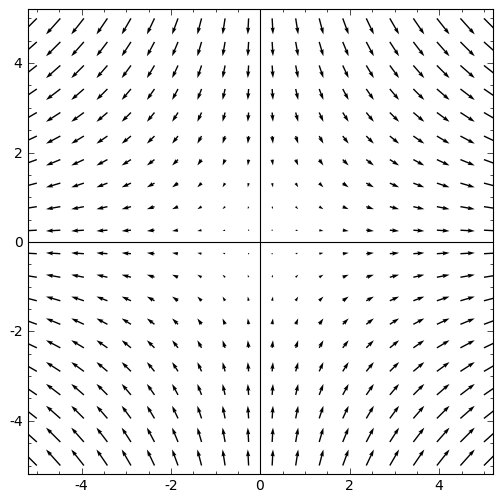 This vector field has a positive divergence, and no, this is not the field I'm asking you to create. This field has zero divergence. Can you see why? 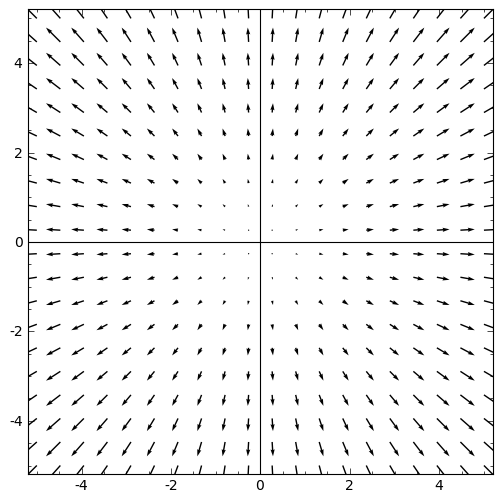 Can you create an electric field like this? and this divergence is always negative, at any value of x. 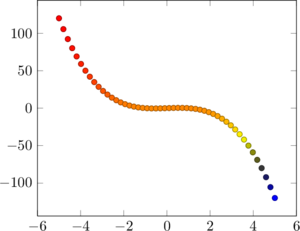 So my question is this: is it possible to create an electric field that has globally parallel electric field lines yet still possessing a non-zero divergence just like the plot above? 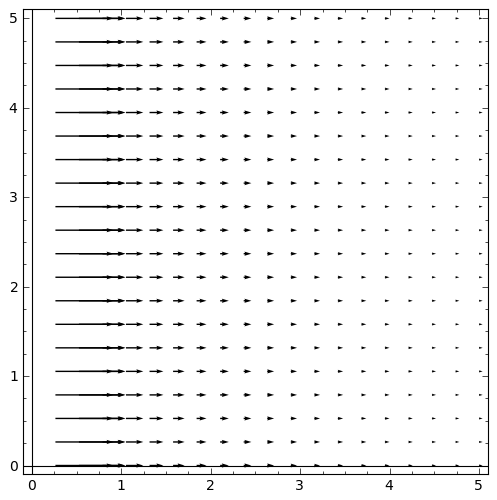 If so, what charge distribution would give rise to such a field? Does my geometrical picture of divergence need to be modified? My idea with this site (at least initially) was to be able to have a convenient place to write thoughts and include data—a somewhat reasonable attempt at having a laboratory notebook online. One of the impediments that I’ve always had with this is that writing about physics invariably involves the need for mathematical typesetting ability, and that is not something I was aware of how to do until I thought to check the WordPress plugins and search for LaTeX. After reading lots of reviews, I settled on QuickLaTeX, and I’m giving it a hearty try. I also wanted to have a nice clean layout for my page, and settled on this Manifest theme (see bottom of page for a link). Together, I think these two look beautiful. Ok, but here’s my gripe, and it comes with a question, then a plea. The gripe is that to see the form of my output, I have to preview it, and that preview is SLOW, painfully slow (on my admittedly 4 year old MacBook Pro), and I think that’s unfortunate. But I have an idea for a fix, a wonderful one if it could be done! Of course, anyone that uses LaTeX is likely familiar with TeXShop (by Richard Koch) or its cross-platform clone TeXWorks…wouldn’t it be nice for the QuickLaTeX Developer Pavel Holoborodko and the WordPress team to talk about a way to have a TeXShop like interface in the WordPress Editor Window? Imagine being able to do that and have an instant preview available. Wow. The question is….can this be done in WordPress? If not, is there any blogging platform that does? If it can be done in WordPress, could someone pleeeeze implement that? If we had that capability scientific blogging would be quite a pleasant affair. While your at it, could you engineer in a feature that would automatically email a .tex file of each complete blog entry to your email account? That would be a nice addition. An attempt at a Laboratory Notebook using WordPress. Here’s my first attempt at an electronic laboratory notebook. I still like paper (a lot actually! ), but I’m experimenting with an online notebook, and I thought I’d give WordPress a whirl. I’ve installed the QuickLaTeX plugin so that I can type mathematics, so we’ll see how it goes.